“With the world still struggling to immunize the hardest-to-reach children, drone technologies can be a game changer for bridging that last mile to reach every child,” she added. Vaccines are extremely difficult to transport as they need to be carried at closely controlled temperatures, a particular challenge in warm places such as like Vanuatu, which is made up of more than 80 remote, mountainous islands stretching across 1,300 kilometres, with only limited road networks. As a result, almost 20 per cent of the country’s children miss out on these essential vaccines. “As the journey is often long and difficult, I can only go there once a month to vaccinate children. But now, with these drones, we can hope to reach many more children in the remotest areas of the island,” she added. The effectiveness of employing drones for such critical delivers was confirmed last week. 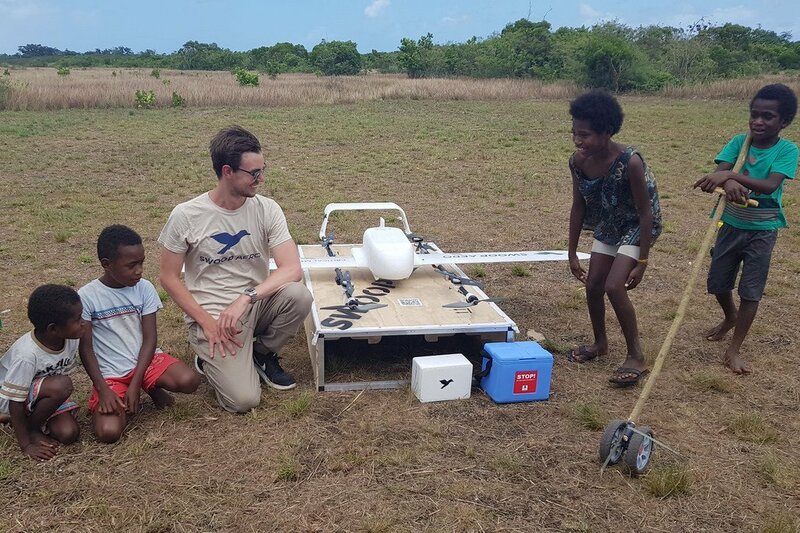 In a test flight carried out by the island’s Ministry of Health with UNICEF support, the drone -flown by an Australian company – landed the payloads within just two meters of the target after a 50-km flight over numerous islands and way points. When it came to the actual flight, the vaccines were carried in Styrofoam boxes with ice-packs and a temperature logger, programmed to trigger an alert should the vaccine temperature swing out of acceptable range. The delivery is also the first time ever, that a Government has contracted a commercial drone company to transport vaccines to remote areas. The operator was selected after a bidding process, and as per the contract, they are held accountable and not paid if they don’t deliver. In the long term, the Government of Vanuatu is seeking to integrate vaccine delivery by drones into their national immunization programme and plans to use drones more widely to distribute health supplies, according to UNICEF. The data from the trials will also be used to show how drones can be used commercially in similar settings around the world. “Today’s first-of-a-kind vaccine delivery has enormous potential not only for Vanuatu, but also for the thousands of children who are missing out on vaccines across the world,” explained UNICEF head Fore.